This is the next completed painting from my "State Bird" series of oil paintings. It is painted on 12x5x1"canvas. This commissioned painting is sold, however I will be offering it in a giclee edition on paper very soon. 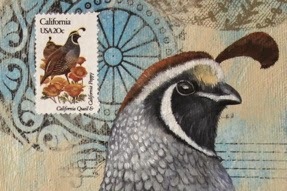 You can visit my website in early May to see the latest editions to my "State Bird" paintings. It is painted in oil over a section of a vintage California state map. 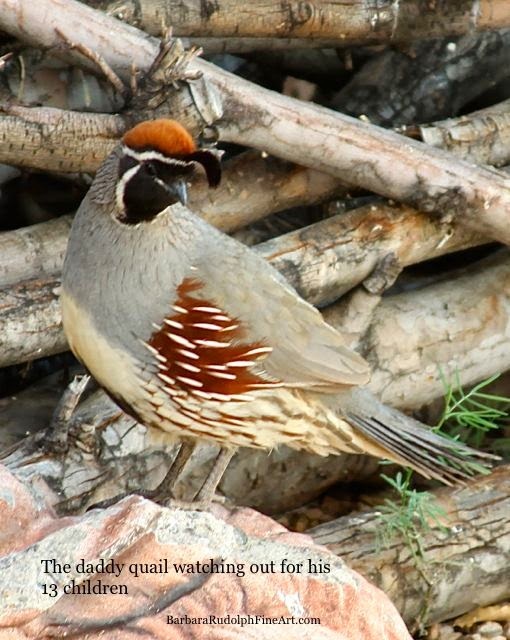 The "California quail" is really a beautiful bird but I have to say....that since I live in Arizona, and we have the "Gambel's quail" here, and I find it hard to tell the difference between them. A bird of the Desert Southwest, Gambel's Quail is common in much of the Southwest, particularly southern Arizona and New Mexico. 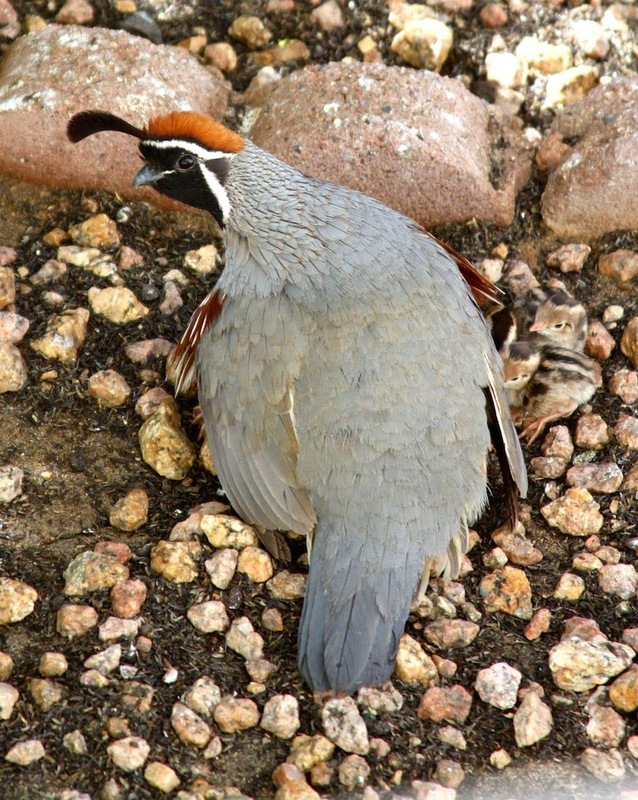 Here they look and act very much like the more widespread California Quail, but the two species' ranges do not overlap. Look for these tubby birds running between cover in suburbs and open desert or posting a lookout on low shrubs. Uh-Oh....he sees me through the window here. all of the babies underneath for protection. He caught me......He calls his little ones....RUN! What's Happening In the Studio Today?